Cuireann muintir Scoil Naithí céad míle fáilte romhat chuig suíomh gréasáin na scoile. Tá súil againn go mbainfidh tú taitneamh agus tairbhe as do chuairt. 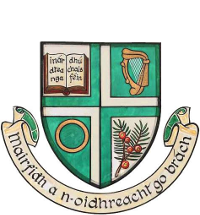 Caith súil ar Nuacht na Scoile agus ar Ócáidí na Scoile. Beidh an suíomh seo ag forbairt i gcónaí. Tar ar ais go rialta. Beidh fáilte romhat i gcónaí. Welcome to our website! We hope you will have a pleasant and productive visit. Have a look at School News and School Events. The site will be developing continuously. Come back and visit us again. You will always be welcome.